One stop for all of your custom metal fabrication needs. With capabilities in most areas of sheet metal production and structural steel fabrication, Buffalo Outfront Metalworks can apply practical solutions for your next project. Request a quote NOW. SEE IN ACTION: 5-AXIS WATERJET CUTTING: Our OMAX Waterjet Center offers a wide range of machining capabilities. With rotating drives and a multi-positional head, many possibilities for creating precision machined components all in one step are now possible. Buffalo Outfront Metalworks was recently featured in the March 2016 issue of THE FABRICATOR Magazine. Read the Article HERE! Buffalo Outfront Metalworks was recently featured in an April 2016 Issue of ARTVOICE Magazine. Read the Article HERE! 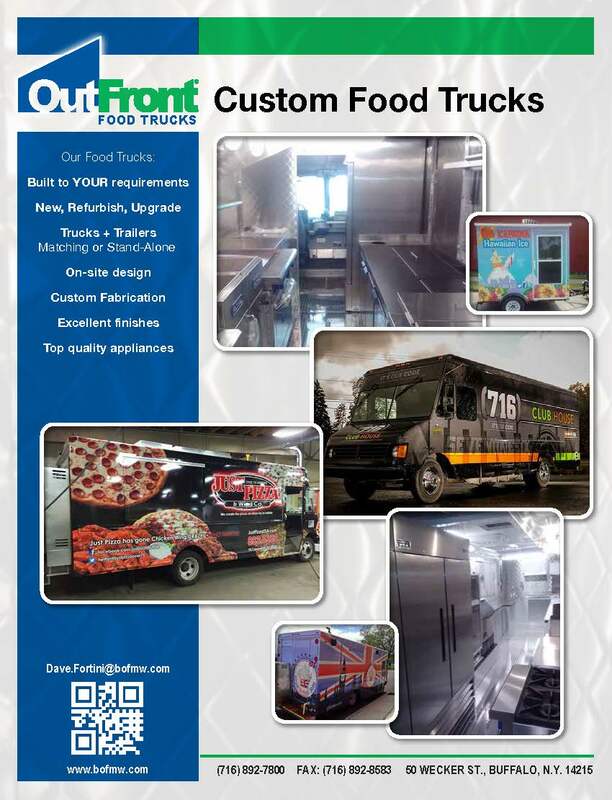 -Whether it's brand new, refurbished, or repair; Food Trucks are in constant demand at OutFront. Our specialized crew and design teams can help you bring your culinary dreams to life. OutFront will work with you to customize a truck to suit your needs. 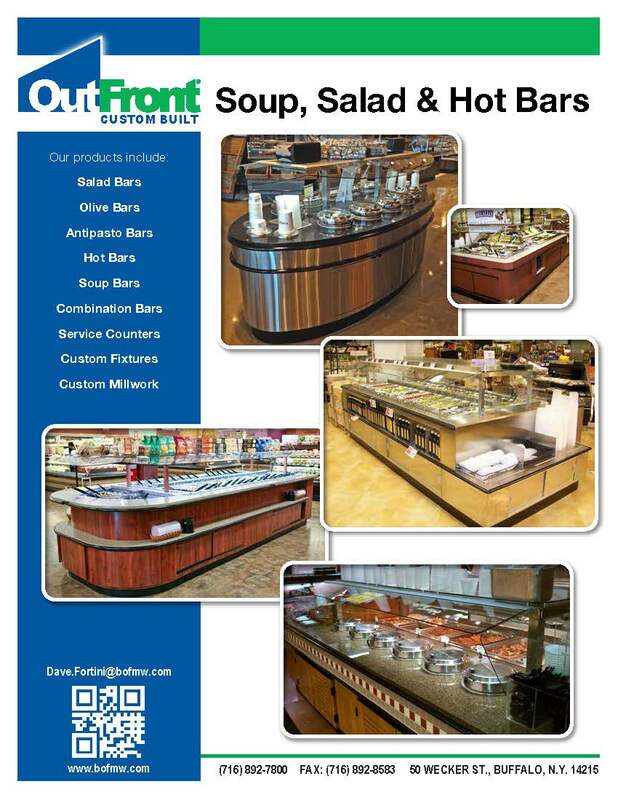 -OutFront Custom Built manufactures refrigerated and non-refrigerated merchandisers, hot and cold food bars, salad bars, and custom millwork. Our experienced design team can assist you with conceptual solutions to meet all of your merchandising need.